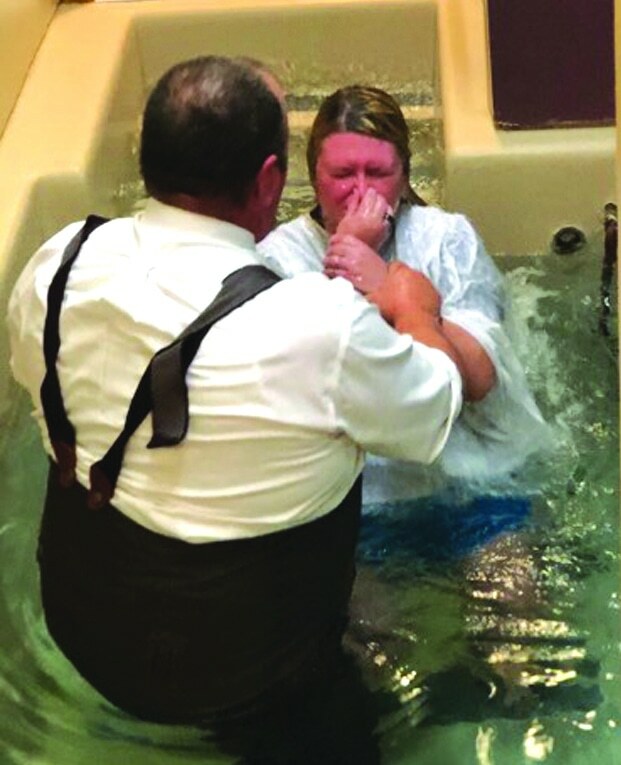 VIDALIA – Some people would say that churches with interim pastors are in a time of transition. First Baptist Church of Vidalia would think otherwise. [img_assist|nid=6494|title=First Baptist Church Vidalia Interim Pastor Bill McCullin|desc=|link=none|align=left|width=100|height=75]Since the appointment of Interim Pastor Bill McCullin in January, First Vidalia has seen an increase in Sunday School attendance over the last several months while following McCullin’s God-focused leadership. McCullin said he became interim pastor of First Vidalia when former pastor Dan Glenn was called to a church in Florida. “Originally, I was a full-time pastor for about three or four years,’ McCullin said, ‘and just felt the calling into this very unique ministry of helping churches through their times of losing a pastor. Vidalia is my seventh church. McCullin said that there were “absolutely no plans” to make him a full-time senior pastor at First Vidalia. He said he felt he was simply called into the ministry of interim pastorates. McCullin said that he wished he could explain the increase in Vidalia’s Sunday School attendance and overall church attendance. “When I came in January, we had about 340 people,” McCullin said. “In no more than two months, we had increased worship by more than 200 people, which was incredible because I’m not an excellent preacher, the music stalled, and nothing took place. “It was just something God desired, to bless our church, so we let God go to work,” McCullin said. He had thought about the increase, though. McCullin added that First Vidalia’s average attendance in Sunday School now is “250-275 people. “So many churches today don’t feel that Sunday School is important, and I just downright disagree with that,” McCullin said. “Sunday School is imperative to the life of the church, and we’re just working on making Sunday School what it needs to be and what the church needs it to be. McCullin also said that worship attendance had gotten up to 600 at one point before decreasing to just under 500 in the summer months. McCullin said that he and his congregation have kept their church flowing spiritually in a potential time of transition by focusing more on biblical teaching in Sunday School. “When you have a strong vibrant Sunday School in that interim time, people tend to gravitate toward each other more,” McCullin said. McCullin mentioned that he and his congregation additionally do heavy praying, including “pew-praying” in which they lay their hands on the church pews and pray for anyone filling those pews. McCullin also expounded on how First Vidalia helps the community. “The main thing is that whenever the community is in need, we get involved,” McCullin said. “For example, we have a tremendous problem with teenage alcohol use in Vidalia, and our youth pastor is involved with helping out those kids. We’re also involved in the political climate in the community, and the community has really gravitated to us. McCullin said that he and his family enthusiastically responded to the challenge of preaching at First Vidalia. “Most of the time, I go into churches not knowing what to expect,” McCullin said. “I don’t pick churches. If a church has a lot of problems, that appeals to me, because I like to help those churches solve their problems. Vidalia’s biggest problem was that they had a very young staff that needed support, so they needed someone to encourage them. “I couldn’t do this job if my family wasn’t supportive, especially as this job takes me away from them,” McCullin said. McCullin said that other blessings that God had given the church were livelier services and a successful ministry group made up of single mothers. McCullin said that in the future, he hopes the members of First Vidalia call a strong pastor who “stands by God’s word and preaches from the Bible. “I feel that they’re going to have a good pastor,” McCullin said. “These people love pastors and have great relationships with them. I pray they continue to reach out to the community and be a regional church. McCullin said that he hopes that God’s blessings on First Vidalia will inspire other churches who are in transition. “I want them to know that it’s not over when they lose a pastor, but that God is still around,” McCullin said. “I want them to know that transitional times can be the most productive years in the life of a church.